In addition, to finding the right dog vitamins for your pet it’s important to know how to help your pet fight some common dog health problems with handy home remedies. Your dog goes out to move his bowels and he’s having a really hard time. A very good constipated dog home remedy is pumpkin puree, either canned or prepared fresh. Do not buy pie filling for your dog constipation management as it contains extra ingredients like sugar, additives and flavorings that your dog certainly does not need! Pumpkin contains ample amounts of water and fiber that help soften the stools. For dogs weighing less than 15 pounds, mix 1 – 2 teaspoons of pumpkin puree to the dog food daily. For dogs between 15-35 lbs., give around 2 to 3 teaspoons of pumpkin every day until you start seeing positive changes in your pet’s stools. Dogs who weigh more than 35 pounds should be given 1 to 5 tablespoons. What if your dog has the opposite problem-doggy diarrhea! Pepto Bismol for dogs can put an end to diarrhea. Call your veterinarian to find out how much to give your dog. If the diarrhea returns when the Pepto is stopped, that could be a sign of a more serious underlying condition. Take your dog in for a checkup. Dog joint supplements can prevent joint deterioration due to aging and arthritis. 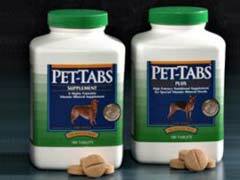 Some dog vitamins contain ingredients that support and help rebuild cartilage.